For the first time since before I had children, I’ve read a whole book in one day. I didn’t intend to, I just got carried away. And although it meant neglecting the more trivial needs of my usually well cared for offspring, it was definitely worth it. 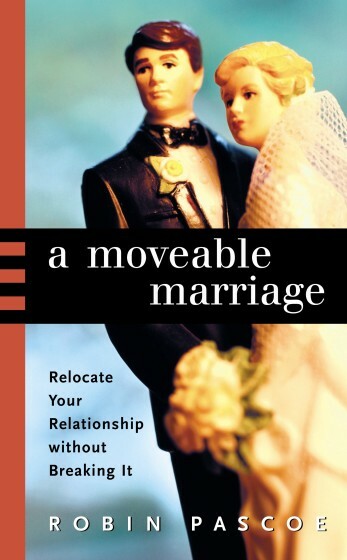 A Moveable Marriage by Expat Expert Robin Pascoe, is not just a book, it’s a bible – nay, a lifeline – for any wife following her husband (and his career) around the globe, who feels like she’s sometimes drowning in the mire. Pascoe spent two decades being posted to far-flung Asian cities as the wife of a Canadian diplomat, and has since gone on to become something of an authority on the trials and tribulations of international relocations, and living life overseas. In A Moveable Marriage she puts the expat marriage under the microscope and explores every conceivable issue faced by both spouses, and the enormous stresses inflicted on the wife as she takes on an integral, but often invisible and thankless role in moving the whole family from one place to another. With often inadequate company support, limited help from the working spouse (whose priority is to get stuck into the new job), and no old friends and family network to fall back on, relocating can be an ordeal for wives especially when children are involved. If you’ve experienced the gamut of emotions that can plague an expat wife such as: mourning the loss of your professional identity loathing financial dependency and you’re sick to death of taking sole responsibility for the endless tedious domestic tasks, then you’ll know why I couldn’t put this down! A Moveable Marriage offers an amusing insight and helpful advice from someone who’s been there, done it all, and bought a few t-shirts along the way.